Set up newly purchased computer (includes PC, keyboard, mouse, monitor and speakers). IF REQUIRED: Install up to two (2) software applications (Software not included). Connect up to two (2) existing wired peripheral devices (ie: printer, scanner, webcam, etc.) Transfer up to 10GB of data files (including photos, music, documents). Connect to existing internet connection. Remove any trial software & install antivirus. Service includes the removal of Malware, Spyware, Viruses, Trojans, Dialers, Hijackers, Keyloggers, Adware, etc., including update antivirus software. Diagnosing your software or hardware related issue. Level one diagnostics will find most of the problems with a system and we can make recommendations what to do from there. In some cases the problem is fixed during diagnosis. NOTE: The diagnostic fee will be waived if repair is done after results on diagnostic tests. Repairs must meet or exceed the cost of the diagnostic fee to be waived. No other coupons or discounts can be applied. Level two diagnostics cover more advanced testing which take more time; such as, component level testing, scanning/testing the hard drive for damages, re-seat, clean and test the memory/RAM chips for malfunctions, software & Windows troubleshooting, testing other components such as video, motherboard, audio & CPU, clean dust & debris out from system, components & fans (if needed), laptop troubleshooting, and more. In some cases, it is needed to reinstall the operating system. Such as a failed hard drive, corrupted Windows installation or a troublesome virus. Reinstall Windows or restore your PC back to factory condition. Service includes backup and restore of your personal data. NOTE: If you have any data you want to be saved from your PC such as pictures, music, iTunes database, videos/movies, documents and other files that you have saved throughout the years, you MUST inform us before the reinstall/restore so we can make the necessary arrangements. We will not be responsible for any data loss. Pleased be informed that software cannot be transferred or restored. Please be aware, your computer will never be 100% the way it was before. You have had years of installing software and configuring it to your personal preference. Install or replace a hardware component. Such as memory, internal/external hard drive, webcam, wireless internet card, power supply, etc. NOTE: Motherboard or CPU swap/install not included. Printer install not included. 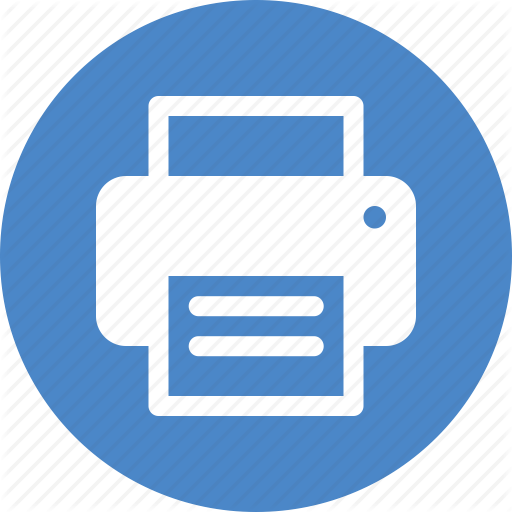 See Printer Setup for pricing. Data transfer services not included with hard drive install. Setup or troubleshoot a wireless or USB printer. Includes software and testing the printing, scanning & fax functions (if applicable). Service also includes installing on up to (2) other devices if installing a network printer. In most cases this service will noticeably speed up a PC. However, if a computer has not been properly maintained, then usually the only solution may be to reinstall/restore Windows or upgrade to a faster solid state hard drive. Backup data from computer to hard disk or USB drive. Transfer data from PC to PC. Recover lost or corrupted data that was deleted or from a failed hard disk or USB drive. NOTE: After files are deleted and/or a drive is damaged or corrupted, data is somtomes unrecoverable. Files that are recovered are also not guaranteed to be 100% complete. We will do our best to get whatever data we can. Some data may be very old data that was previously deleted. We have no control on what is recovered. We also offer no guarantees whether data can or cannot be recovered. The labor will still be charged for the recovery service. If we believe the data cannot be recovered, we will refer you to a specialist instead. PC tutoring. Software tutoring. We will come out to your home or business and help you with any issue(s) you have. Ask us questions, learn how to perform a new task or troubleshoot a problem. Learn new software. Anything you want to do with the time is up to you. No discounts or promotions on this service. We are Ring + Nest certified professionals. Buy parts direct from us. Save the time and hassle, we'll do everything for you! 20% discount on labor if you install (3) or more Nest devices on the same visit! Install a Nest Hello video doorbell & configure in app. *MUST HAVE A WORKING WIRED DOORBELL INSTALLED. If your current doorbell is not working or you are using a wireless doorbell, give us a call. Other parts and/or services may be required to get your video doorbell installed. We are a certified Nest Pro installer & dealer. If you need any Nest product installed in your home, please call us today. NOTE: Some systems require the 3rd generation thermostat. Make sure to call before purchasing. The frosted white e-thermostat is not compatible with all types of heating/cooling systems. Designer bezels/wall plates available for purchase at an additional cost. NOTE: You need to find out whether your current smoke detectors are battery operated or powered by AC. When you pull the unit off the wall, if there is a wire attached going into the ceiling, it is AC powered and the wired Nest Protect will need to be ordered. NOTE: Camera needs to be within 10 ft of a working power outlet. If not, extra charge will incur for any custom install work and extra parts needed. Camera also needs to be within 30ft from wireless router or WiFi extenders may be needed. Price to install Nest starter pack security system which comes with base unit, 2 key fobs and 2 door/window sensors. Protect your home with Nest's home security system. Need more door or window sensors? No problem, we got you covered! Looking to add any cameras to your security system either indoor or out? Take advantage of our 20% discount on a multiple item install if you install (3) or more Nest devices on the same visit. Tired of paying high landline phone prices. We can offer you an alternative low cost or even completely FREE landline phone service that works off your broadband internet connection and offers CRYSTAL CLEAR HD call quality! OOMA has been around for over a decade and I personally use it in my home and office and have installed it in many other homes with zero issues. *May require multiple visits to install due to activation of device. Especially, if you are keeping your current phone number. *Not including taxes and/or shipping. Additional Cost will incur if you want your current phone number transferred over or premium features. Illinois charges a small percentage every month for taxes. So while the service itself is free, you may end up paying a few bucks a month in taxes. No discounts or promotions on hourly rate. Remote services have discounted pricing built into the total. No discounts or coupons can be applied toward remote or on-site services. While we make every effort to make our prices competitive and affordable; being on-site for a majority of the day takes away from other appointments which is why we opt for pick up or drop off service on jobs that will take longer than a couple hours. We also do not charge house call fees. However, coupons and discounts are welcome on any pickup/drop-off service which we have many available and we are always running specials and new customer incentives. Please note while we make every effort to have repairs completed within a day or two. Sometimes circumstances delay repairs. Thank you for understanding. *Prices are subject to change without notice. All discounts taken off regular prices. Multiple discounts can not be used. No coupon discounts on parts, labor, web design, Remote or On-Site Services. Most repairs can be done within 1-2 hours. Any computer or equipment left for over 60 days will be forfeit and recycled. I will make every effort to make contact for payment and return of the equipment. DISCLAIMER OF WARRANTIES The seller, hereby expressly disclaims all warranties, either expressed or implied, including any implied warranty of merchantability or fitness for a particular purpose, and neither assumes nor authorizes any other person to assume for it any liability in connection with the sale of said products and/or services. White Box Computers makes no warranty that (i) the service will meet your requirements, (ii) the service will be uninterrupted, timely, secure, or error-free, (iii) the quality of any products, services, information, or other material purchased or obtained by you through the service will meet your expectations and (iv) any errors in the software or hardware will be corrected. You hereby agree that any and all important data, documents, pictures, videos, music, etc. have been backed-up before service was performed. White Box Computers is not responsible for lost or corrupt data or digital media and is not responsible for items unclaimed after 60 days.